This is our opportunity to describe the different entertainment / adventures / shows / music / activities we offer. Here's an example of a format we might use. A completely separate and specialized team at K-Magic school dance DJ’s are uniquely qualified to make your next school dance the best you’ve had. K-Magic subscribes to the counties most popular professional DJ music services with edited radio and lyrical music. If you’ve had difficulty finding a DJ who is high energy and fun but can walk the fine line of lyrically appropriate music for you school, that is our specialty. Our exclusive DJ/advisor partnership initiative addresses the concerns of the administration yet will deliver to your students the hip-hop, dance, and rock music they love with professionally edited versions of songs with objectionable lyrics. K-Magic will build your school dance program with fun, personable and high energy DJ performers. Our school dance team has hundreds of school dance music for your prom, after the game or graduation party. Build your school dance program with fun, personable and high energy K-Magic DJ performers. In this high tech world, now more than ever, it's important for employees to get together outside the workplace and have social time together. K-Magic has made finding top quality entertainment easy and hassle free. You'll always know that you have the best DJ entertainment in the business. Great parties are a lot more than just playing a wide variety of great music; it's fun interaction and a personable host. Count on the K-Magic (Mobile DJ) Party Patrol to make it happen! Your employees help pick the music! Picking just the right music for a company party is a tough one. There's a huge range of ages, and musical tastes. With our revolutionary new online requests, your employees can tell us ahead of time what they want to hear. It's our way of assuring that everyone's happy and kept dancing and having fun. For the first time, everyone has a chance to participate in the company party. And after the big night your employees can give you all the credit for a great party. Our K-Magic staff host does it all. From the basics of getting everyone where they need to be at the right time during the day to actually coordinating events for the kids and adults. They will take the weight off your shoulders, so you can have fun too. We are flexible and able to work with all the craziness and unexpected events of a fun day in the park. We are the glue that holds the day together. It takes a special skill and lots of experience to coordinate all of the important elements of your wedding. It’s a lot more involved than just a sound system and a music library. Our K-Magic DJ will be the key to keeping your wedding reception on track and will make every detail flow, from the introduction of the wedding couple, to the first dance, the cake cutting, toasts and finally to the important dance music with a wide variety that will keep your guests involved and having fun throughout the night. 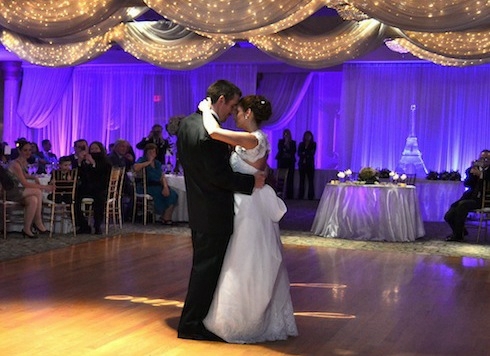 K-Magic will plan every detail with you prior to your wedding. With our planning tools and music selector you can start the planning process and then your K-Magic DJ will consult with you to finalize every detail. Every detail is planned with you in advance and an event itinerary is provided ahead of your reception so that the caterer, photographer and wedding party will know exactly how the night will unfold. No confusion, no mixed signals just a stress free night of fun for you and your guests. K-Magic recognizes the need for pre-planning and have made the advance work, a high priority, and it truly makes all the difference. Your night will be fun, classy and stress free. Only a small number of DJ’s are qualified to entertain at your wedding and we suggest early planning to make sure you have the best DJ entertainer confirmed for your big day. 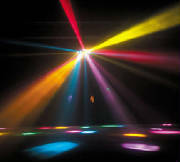 Choose a DJ with tempo music or your choice and our enhanced motion light show. Add a unique adventure for the kids with bubbles, hypoallergenic stage smoke and haze. We offer as many different package options as you can think of all customized to suit your special needs. All equipment and our entertaining DJ's are included in every package provided. * We at K-Magic have the experience and resources to handle any event and retain that personal touch. You can relax in our hands and take all the credit for a function that will entertain you and all your guests.